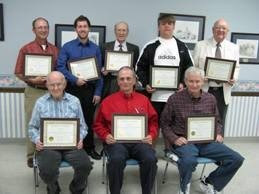 We completed our God's Great Servants Leadership class with graduation Sunday night. You can see the graduation picture and names of participants at the bottom of the page > Interim at Eddyville > . The outlines are now on line with the supplemental materials such as invitation letter, notebook cover and spine, and other material to print books and lead the class: > Leadership Classes > . If you have an interest in leading this type of training in your congregation, I will be glad to answer any questions you have and advise in any way I can. Please feel free to contact me by phone, e-mail, or in person. > Contact Me > . I continue to enjoy the work here. The brethren are very cooperative and encouraging. They are actively looking for a preacher. I will be available when they select a preacher -- by November 1 or before.